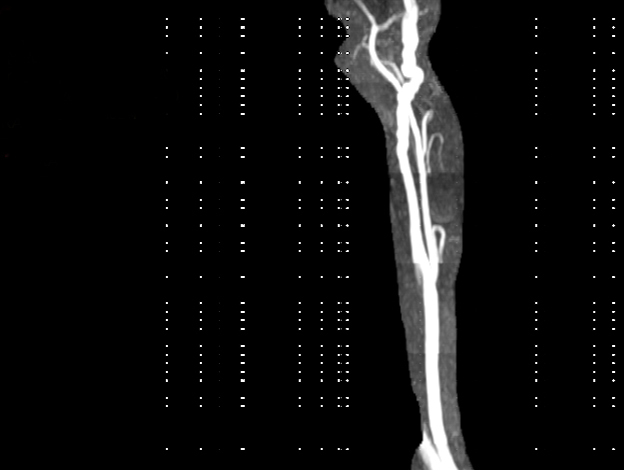 A 49-year-old female patient presented with hypertension and underwent a vascular workup with a combination of magnetic resonance angiography (MRA) and computed tomography angiography (CTA) studies. Click to view images in a DICOM viewer: Figure 1, Figure 2, Figure 3. 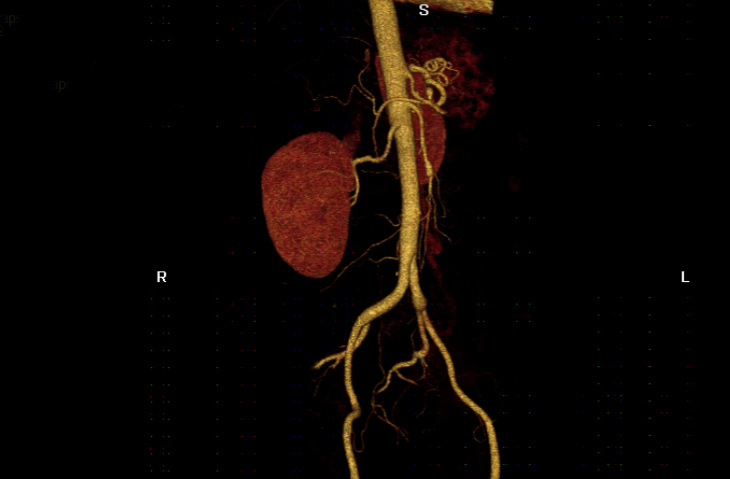 Fibromuscular dysplasia (FMD) is an autosomal dominant inherited disorder characterized by fibrous thickening of the intima, media, or adventitia of the artery. The renal and carotid arteries are most commonly involved. Less often, vertebral, visceral, and extremity artery involvement is seen. More than one artery may have evidence of FMD in 28% of people with this disease. FMD may affect up to 5% of the population (found in close to 4% of normal renal donors). FMD is associated with stenosis-related renovascular hypertension. Symptoms of craniocervical involvement include headaches, pulsatile tinnitus, and light headedness, although patients are often asymptomatic. FMD is often diagnosed incidentally in the absence of any signs or symptoms during an imaging study. Vascular lesions include stenosis, aneurysm, and dissection. Narrowed vessels show a characteristic “string of beads” appearance. Slovut DP, and Olin JW. 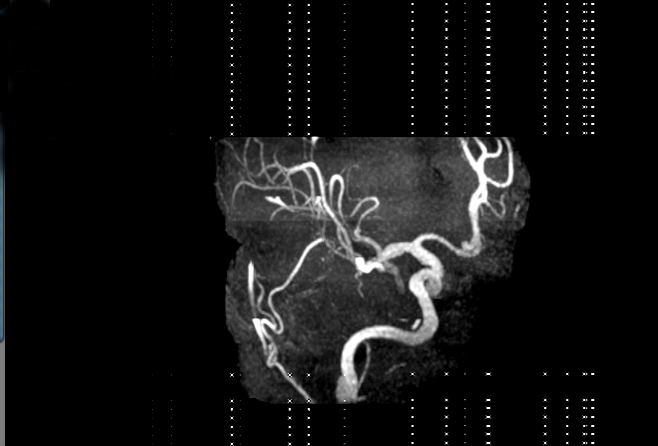 Fibromuscular dysplasia. N Engl J Med. 2004;350:1862-1871.